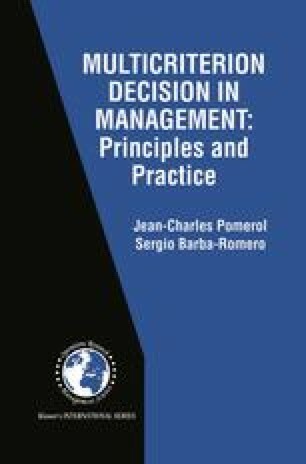 In discrete multicriterion decision the existence of a decision maker is assumed; this decision maker will obviously feature as an element in the model and as such is an abstraction. In practice the term ‘decision maker’ corresponds either to a single person faced with a choice or to a group of individuals. The word ‘decision maker’ may also apply to people with the job of analyzing certain choices, even if they do not actually make the decision, or if the decision is made afterwards within terms of reference of which they are ignorant or disapprove.